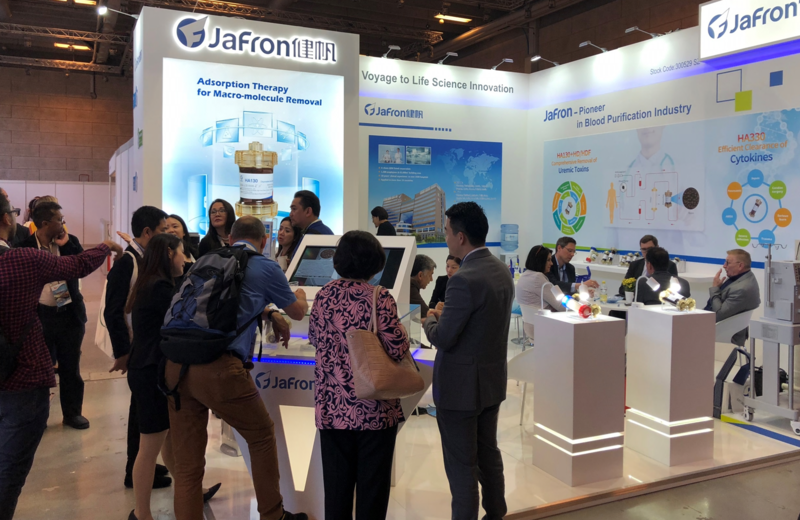 Jafron Present at 55th ERA-EDTA - Jafron News - Jafron Biomedical Co., Ltd.
On May 24-27, the 55th ERA-EDTA was grandly held in Copenhagen, Denmark, attracting about 9598 experts and 117 companies all over the world. As a bellwether of adsorption technology, Jafron shined the light with specially decorated booth，displaying entire serial hemoperfusion products including HA,BS,DNA series disposable hemoperfusion cartridges, hemoperfusion machine(JF-800A) and blood purification machine (DX-10), which providing leading solutions for ESRD, intoxication, critical disease as well as hepatopathy. During the exhibition, much attention and interest of not only business clients from different nations but also renowned experts from world’s top medical institutions was drawn to Jafron stand. The clinical practice of adsorption therapy and the further possible indications were the hot topics on the congress. Jafron is always pleased to supply the medical specialist an optimized and precision options. With the 18 years clinical application, as well as the support from over 3500 hospitals and more than 30 countries, Jafron is unalterably engaged in promoting innovative hemoperfusion treatment for the patients. 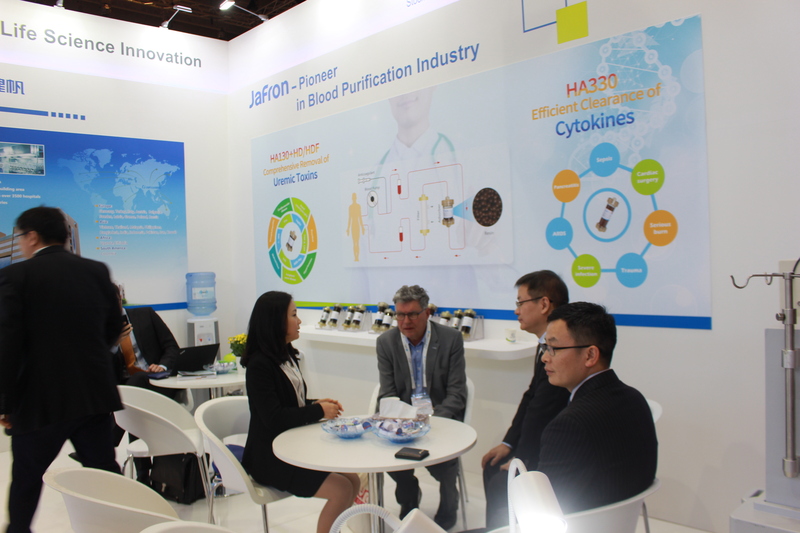 Cooperating with medical experts and companies all around world, Jafron provides the safe & efficient adsorption products with the most experience globally, together with the service tailored to customer demands.